Infrastructure used to be a grey word, associated with concrete and metal. It meant roads, cables and pipes, owned by transport companies and utilities. 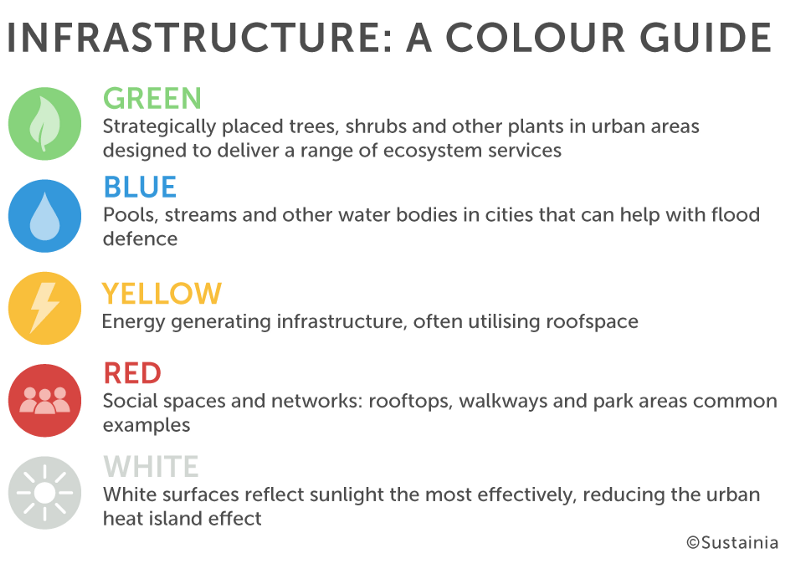 But now, blue and green infrastructure has begun to infiltrate city planning departments around the world, and for good reasons too. By bringing nature back into cities and working with water, rather than against it, cities can improve livability for citizens, and create greater resilience for urban centres. This article was published in The Beam magazine — Subscribe now for more on the topic. On the outskirts of St. Petersburg, the community of Novoe Devyatkinocombined blue and green infrastructure to protect against cloudburst events as well as provide a new recreational space for citizens to enjoy. They are now exporting their idea to other Russian communities keen to bring nature back to their urban surroundings.